All the way back to my teacher training, I have always tried to incorporate as much “world music” (sorry, I don’t like that term) into my teaching as possible. From PreK and all the way up, we sing in many languages, and we listen to examples from every corner of the earth. But for many years, I felt that it was too random and fragmented. I exposed the students to the music, but the learning should have gone much deeper. It’s fair to say that it took me several years to really understand the role of concepts in PYP, but once I had time to sit down and reorganize my brain, it made a huge difference! 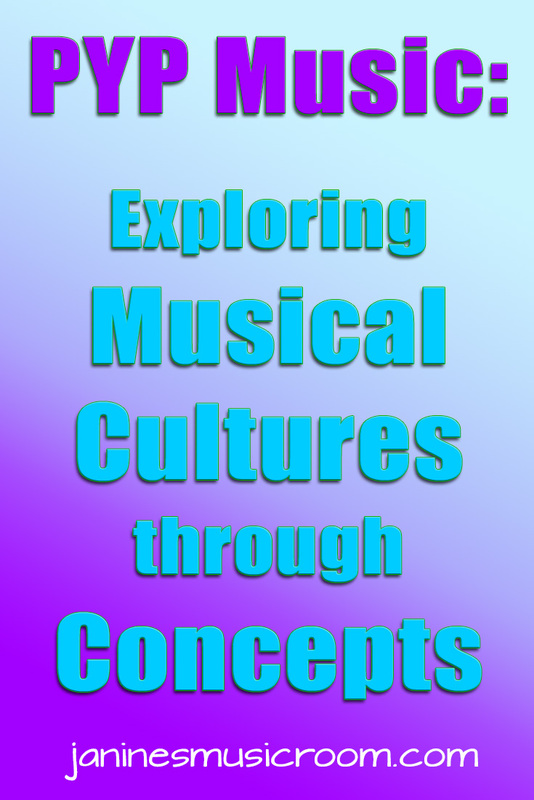 Concepts are a fantastic way to look at the standard elements of musical composition, but they also open up a world of ways to engage more deeply in unfamiliar—and widely varying—musics. I started Grade 4 this year with an investigation in cycles, first through West African drumming, then through Balinese gamelan. (My colleagues teaching Grade 5 then extended the inquiry with samba and Zimbabwean marimbas.) 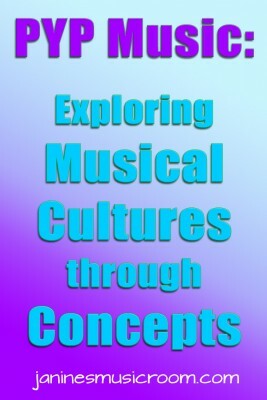 We learned about each musical culture, but we were able to tie it all together through a common concept. So on top of all that, we brought it back to an even broader idea: that music is a common experience across cultures and shares commonalities, even when everything else seems so different. There are so many concepts we could explore across cultures if we just have enough familiarity with the music we are studying.